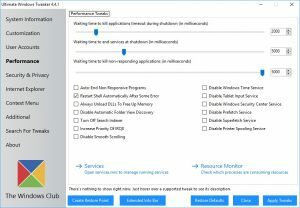 Unless you're a fan of using a computer that looks and feels the same as everyone else, you probably want to spend some time tweaking Windows so it works the way you want it to. Broadly speaking, tweaks fall into three categories -- those that change appearance, those that boost performance, and those that change the way things work. 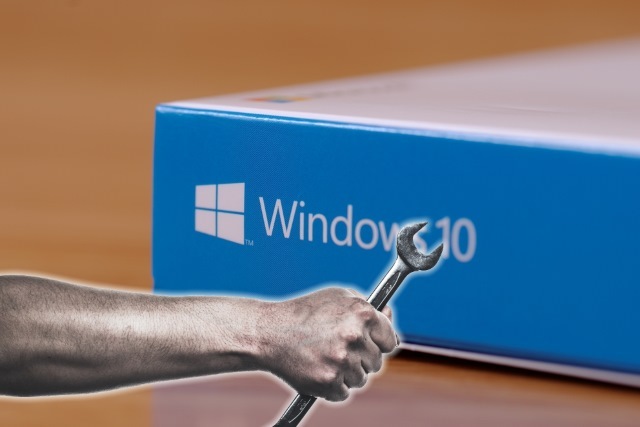 Windows 10 does -- through Settings and the Control Panel -- afford you a decent degree of control over how the operating system looks and works, but if you want to get serious about things you have two options: head into the registry, or turn to a dedicated tweaking and customization tool. Now there are endless apps to help make life easier, so here's a roundup of the best Windows 10 tweaking and customization tools. 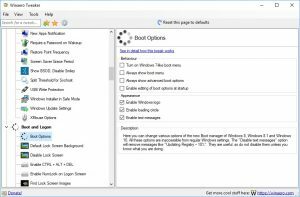 Slightly more seasoned Windows users will remember the days of fiddling around with .ini files as well as the registry, but it wasn't long before a generation of tweaking tools -- headed up by the delightfully simple but essential TweakUI -- was born. With Windows 10, the urge to tweak and customize is still rampant and here we look at some of best apps that place you in full control over the appearance and operation of Windows 10. 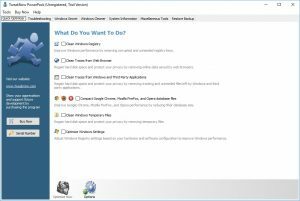 Small but powerful, Ultimate Windows Tweaker 4 is a free tool with a surprising number of options. Things get off to a great start as a System Restore point is automatically created for you in case things go wrong -- not that this is likely, really. The app has the look of a modern version of Explorer and there are a series of sections to investigate down the left-hand side -- Customization, Context Menu, Security & Privacy, Performance, and more -- and then there are tabs with settings to work through on the right. There are such a large number of options available (over 200, in fact), there's even a search tool to help you find what you need! 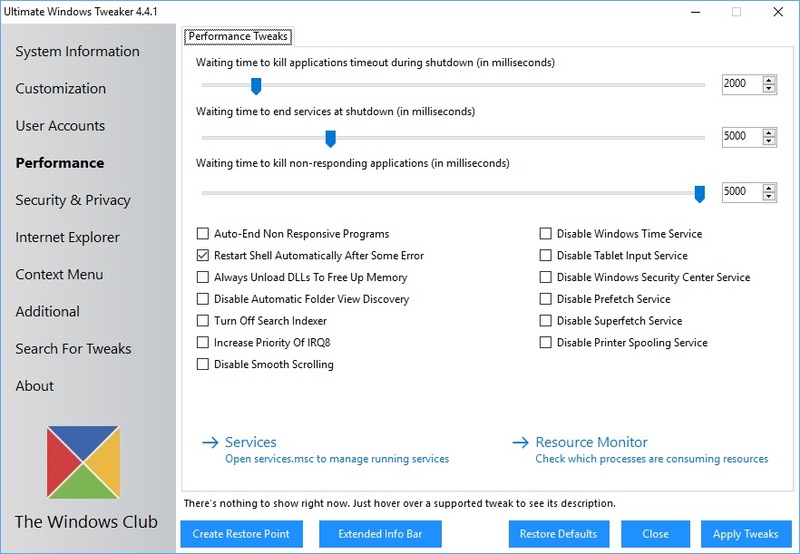 Jump in and you'll find that Ultimate Windows Tweaker makes it easy to customize, hide, and tweak numerous elements of Windows 10 -- fiddle with the taskbar and Start menu, kill animations, hide features you don't use and much more, including customizing telemetry. All of the options are well-explained. Hover the mouse over a setting, and a helpful description appears at the bottom of the program window. Well worth checking out. 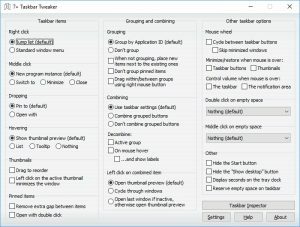 Giving access to scores of tweaks, Winaero Tweaker is a valuable app for anyone looking to customize the hell out of their computer. The layout may not be to everyone's taste, as getting around can be a little cumbersome and time-consuming, but perhaps this is the price you pay for such an extensive list of options -- it's hard to imagine that things couldn't be improved at least a bit, though. As well as visual and behavioral tweaks, there's also easy access to a number of Windows tools you might use, and a neat option to restore "classic apps" to Windows 10, including classic games and desktop gadgets. One very nice touch that other programs might want to consider copying is the ability to export your tweaks. 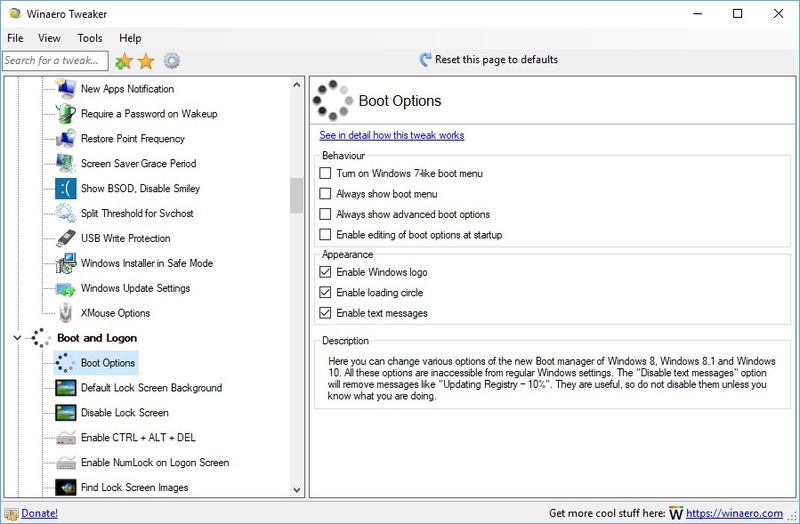 This is great if you're the sort of person who likes to reinstall Windows from time to time, or who wants to implement the same tweaks on different computers. Just export the settings on one machine, import then on another, and all of the hard work is done for you in a matter of seconds. 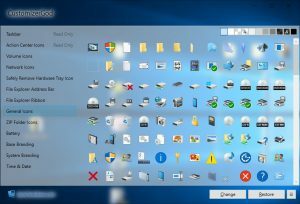 If you're looking for a way to customize the icons in Windows 10, there are various ways you can go about it -- but CustomizerGod is almost certainly the easiest and most thorough. The app is about more than just changing icons for programs, however. It also enables you to change icons that are more integral to Windows 10, such as toolbar and taskbar buttons. In fact, just about the only thing you can't change is the Start button. Everything is set out in a delightfully simple and accessible way, and there are handy shortcuts in a fly-out panel at the bottom of the program window that provide easy access to options such as backup and restore. This may not be the most comprehensive tool out there, but its focus is tight and the results are impressive. The only tool in this list that costs money, TweakNow PowerPack is not to be dismissed just because it has a price tag attached -- and at $15, it's hardly going to break the bank. That said, with so many free options out there, you might well wonder why you need spend any money at all... Still, there's a 15-day trial period, and this should be more than enough for you to experiment with the various options put at your disposal, and implement the tweaks that are of interest to you -- they're not going to disappear when the trial period is up! While there are plenty of tweaks and customizations that can be applied through TweakNow PowerPack, it's hard to pick out any that can't be found in free alternatives. There is an extra Windows Cleaner section which provides access to a number of extra tools including a disk and privacy cleaner, but there are also stupid, pointless inclusions like a registry cleaner and registry defragmenter -- and a RAM optimizer. This aside, it's hard to fault the program, and there's a nice extra in the form of a virtual desktop, but unless you're particularly taken with the layout of TweakNow PowerPack, you might want to save your money. This is a very specific tweaking and customization tool, and its name gives everything away -- it's concerned solely with the Taskbar. It works with everything from Windows 7 upwards (again, there's a clue in the name) and the spartan interface may not be in line for any design prizes, but it is fabulously descriptive. Being so laser-focused, it's perhaps not surprising that there aren't a huge number of options available in 7+ Taskbar Tweaker, but that doesn't make it any less useful. 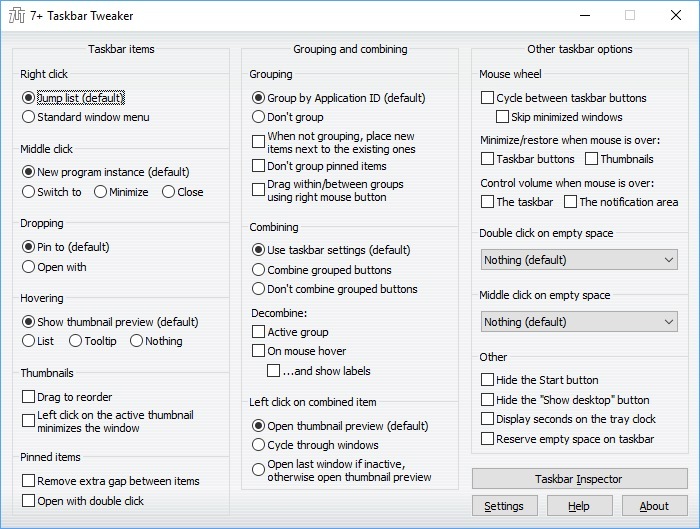 Every option is explained in detail, so you quickly discover that the program lets you change the way taskbar buttons are grouped, to hide the Start button, and implement new taskbar-based mouse shortcuts. So there you have it… five of the best tweaking and customization tools available for Windows 10. Of course, personalizing and tinkering with your computer is a highly, well, personal affair, and you may well have a favorite tool of your own. Feel free to share details in the comments below!